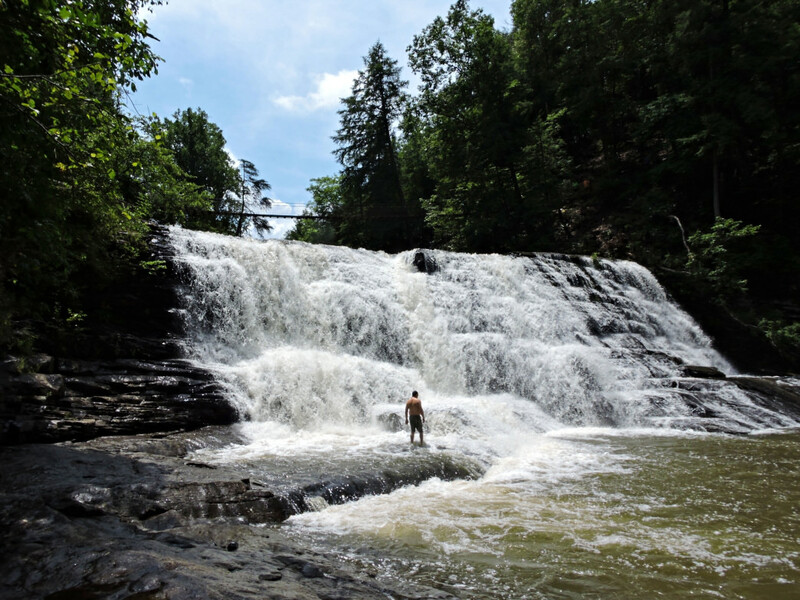 Consistently the most-visited state park in Tennessee, Fall Creek Falls has something for everyone, including 35 miles of hiking trails with breathtaking views. 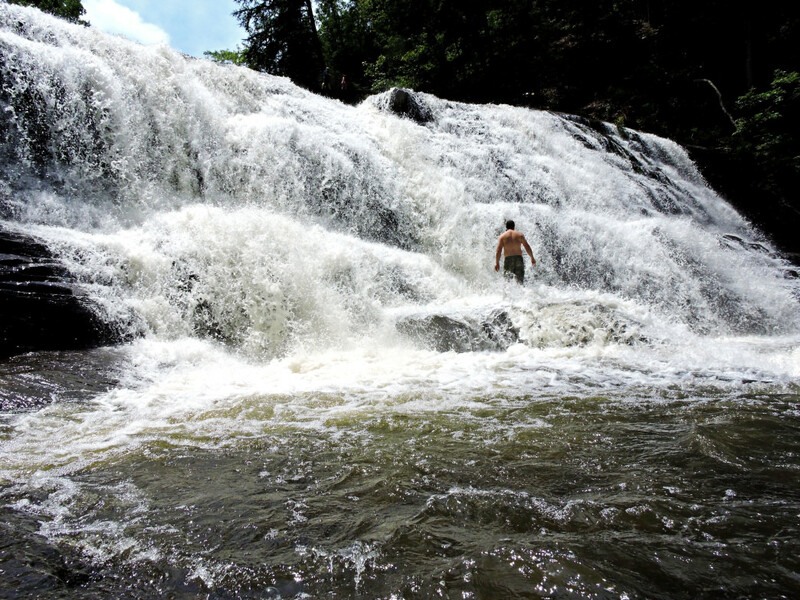 There are 14 hiking trails in Fall Creek Falls State Park, which combine to create 35 total trail miles. 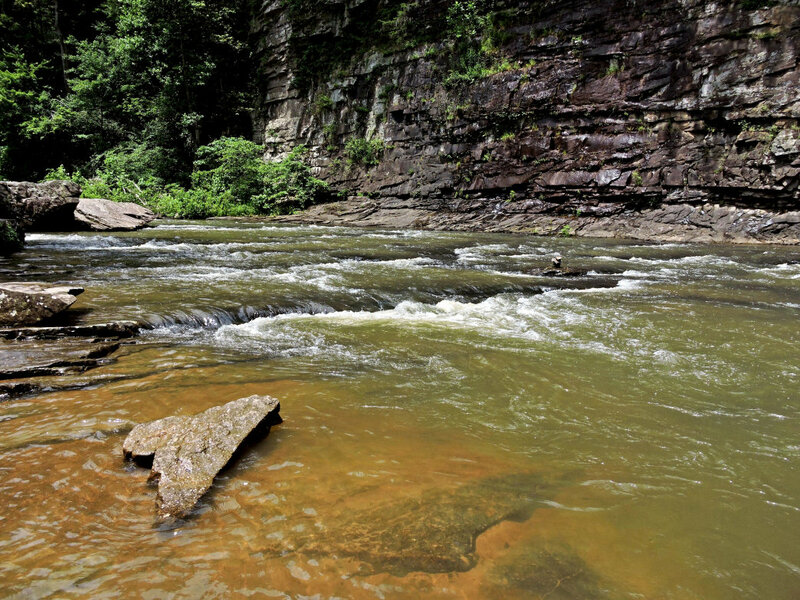 From two overnight backpacking loops—the Upper Cane Creek Loop (14 miles) and the Lower Cane Creek Loop (13.2 miles)—to moderate 4 mile hiking trails, to easy half-mile strolls, there's something for every hiker at Fall Creek Falls. 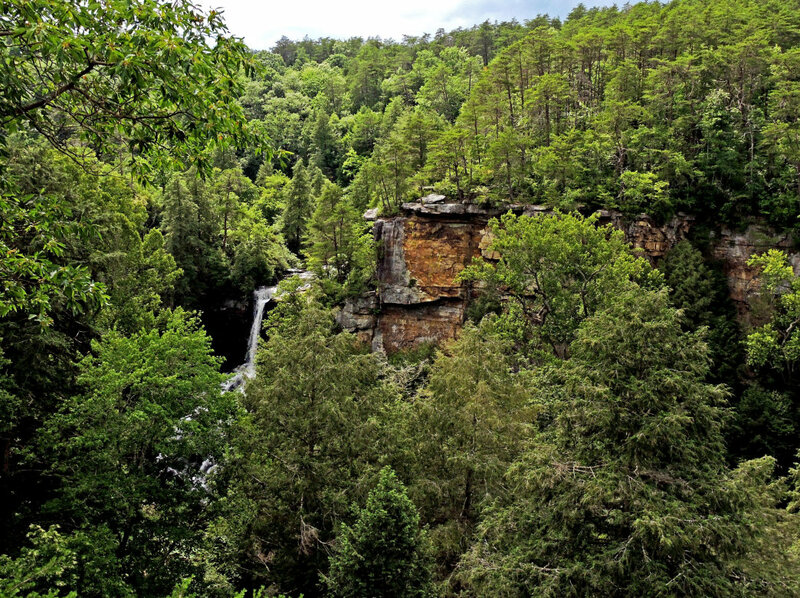 You could spend an afternoon or an entire weekend exploring the 25,000 acres and 35 miles of hiking trails at Fall Creek Falls. Each season brings something special to the park, but winter may just be the best time to go, as there are fewer people, and the water is often higher; meaning the waterfalls are plunging with full force. Camping fees apply. There are 222 different campsites in five different areas of the park, and rates range from $11-25. 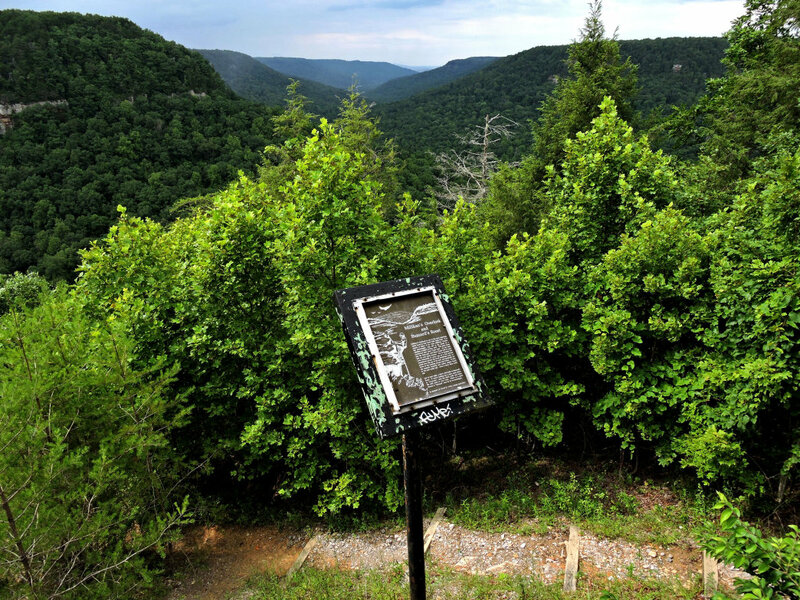 Permits are required for overnight backpacking on both of the Cane Creek Overnight Trails. There are no fees for day hiking. 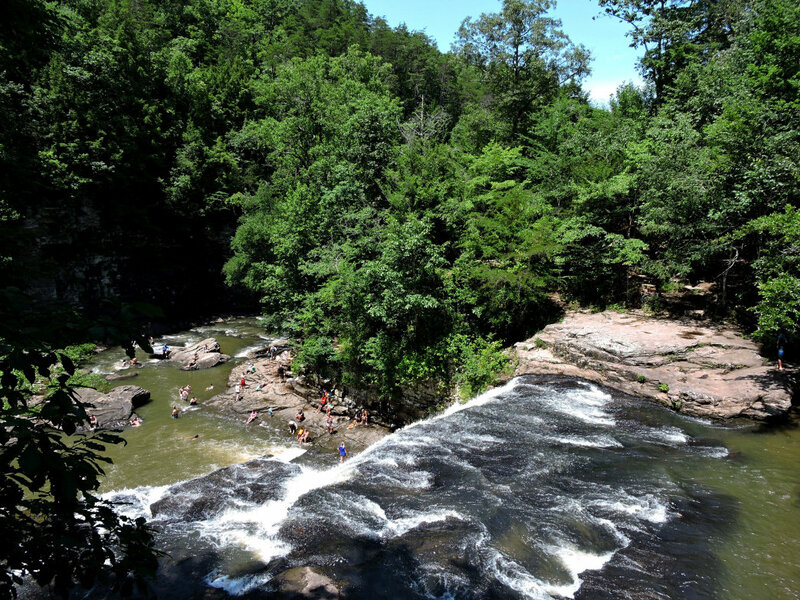 Several factors contribute to the fact that Fall Creek Falls attracts more visitors each year than any other Tennessee state park. Its size, grandeur, and the sheer number of activities make it a one-stop shop for outdoor fun. Spanning 26,000 acres, it has one of the largest waterfalls in the region and keeps visitors busy with paved and natural hiking trails. Hikers who want to make a weekend stay of their adventures can camp overnight in the park, rent a cabin, or stay at the inn onsite. 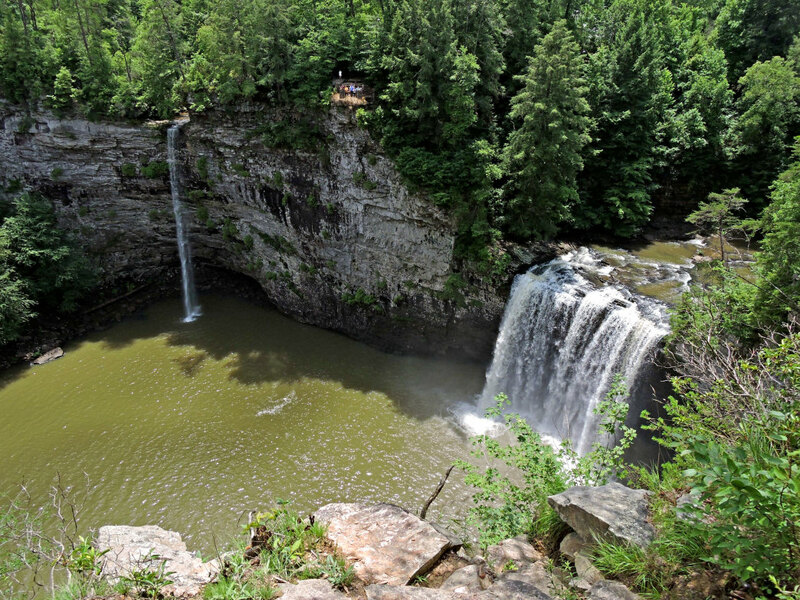 Considering the fact that Fall Creek Falls is one of the tallest waterfalls in the eastern U.S., it's no surprise that the trails that make up the 35-mile system through the park lead to some staggering views. 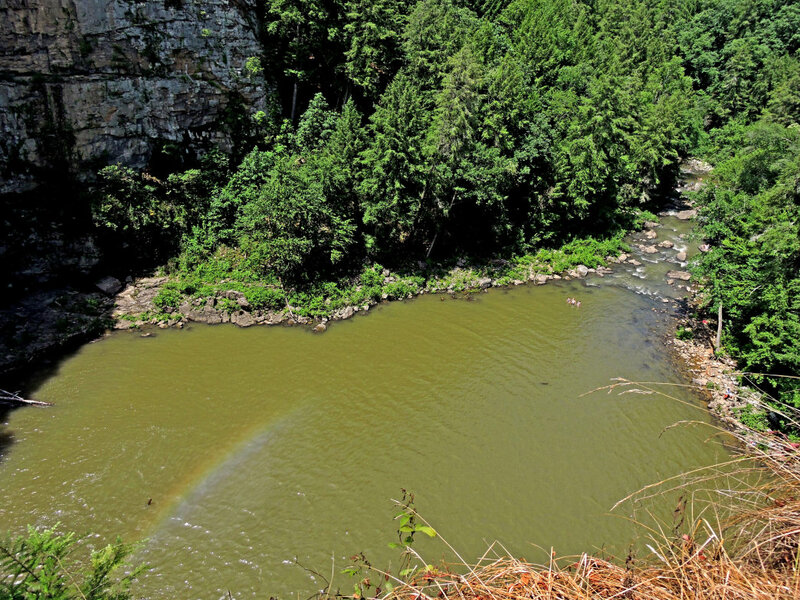 For a great intro hike, the Paw Paw trail is an easy 2.6-mile stroll offering access to two overlooks—Fall Creek Falls and Cane Creek Gorge overlooks—both of which are must-views for the first-time visitor. 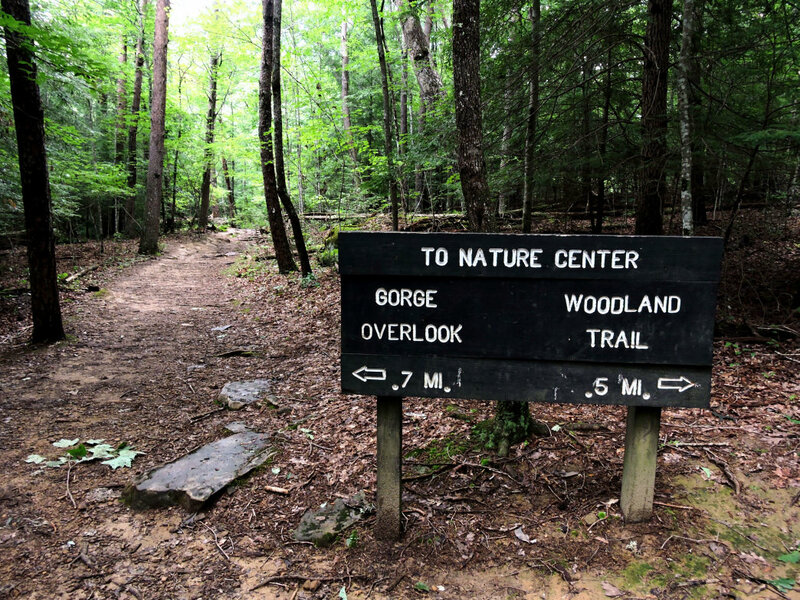 Other easier hikes include a paved, ADA-compliant trail where hikers share the path with cyclists and a couple of easy, short natural trails (the .2-mile campground connector path and .5-mile Turkey Pen Ridge). Turkey Pen Ridge is a great option on a hot summer day because it is covered in shade. 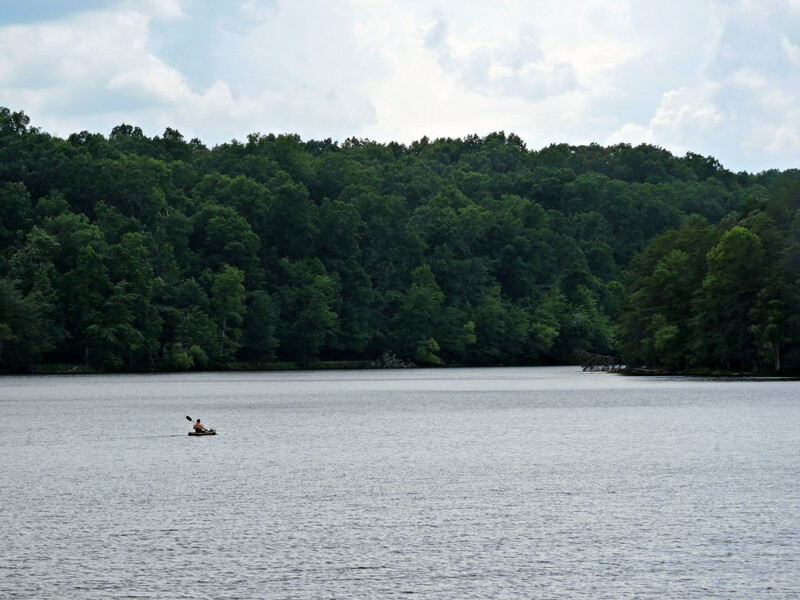 Moderate hikes range from the .9-mile Woodland Trail to the 4.6-mile Gilbert Gaul Loop, which runs near its namesake homestead and up to the head of Fall Creek Lake. 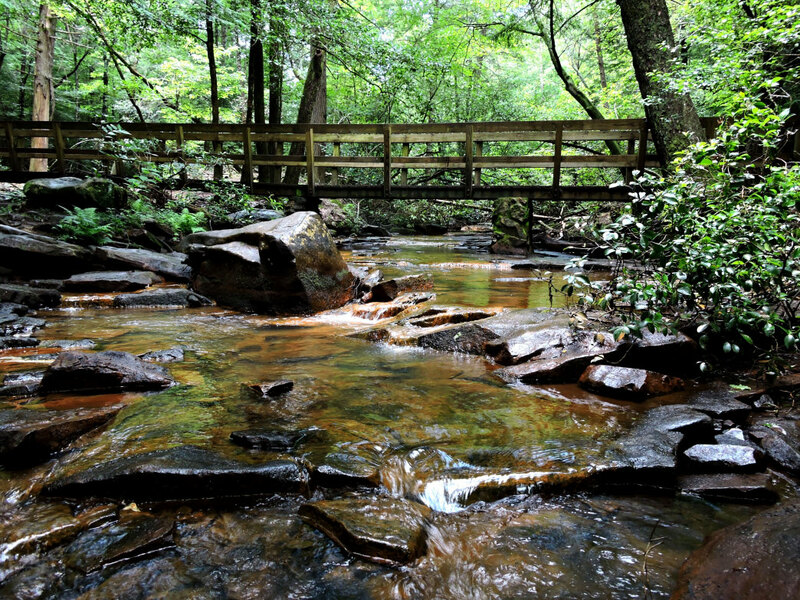 For a more difficult adventure, try one of the overnight options on the Cane Creek Trail—the moderate 14-mile Upper Loop or the difficult 13.2-mile Lower Loop. This diversity in trail options is part of what makes the park so popular with locals and visitors alike. One of the park’s main draws is its ability to accommodate every level of hiker, including small groups with members of varying levels of ability. 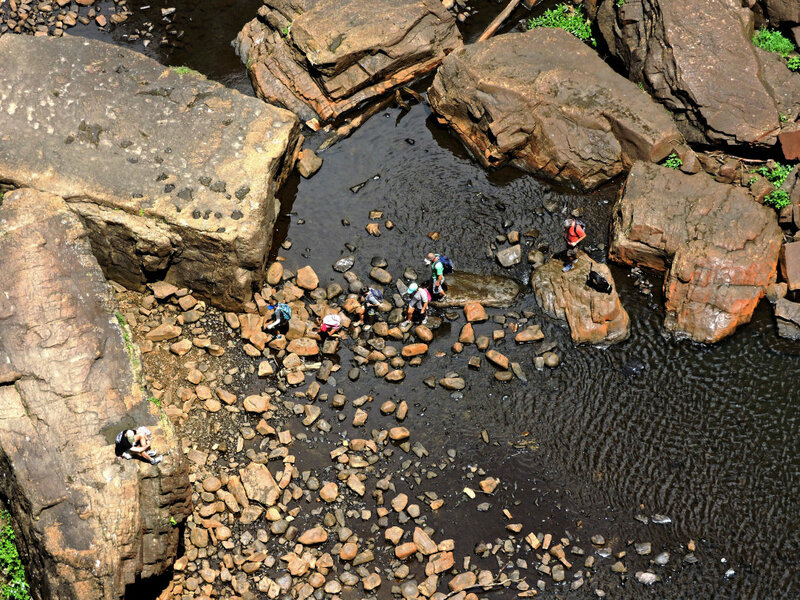 The sheer number of trails with varying distances and degrees of difficulty make it an ideal stop for almost any outdoor enthusiast. From families with children to experienced solo backpackers, nearly everyone can find something to fall in love with here. The park is accessible via TN-284 from both the southwest and northeast; once inside, designated parking areas are clearly marked. If camping overnight, only heat-treated firewood is allowed inside the park. Smoking, wildlife disruption, and firearms (except properly stored weapons used for recreational target-shooting activities in designated areas) are strictly prohibited.